On first showing, Terra Nova is the Harlem Globetrotters of sci-fi. Take a dash of Blade Runner for starters followed by a smidgeon of Stargate and a whole load of Avatar (there’s even Stephen Lang), mixed with Jurassic Park plus a little bit of Lost, and you have Terra Nova. The set-up is that by the 22nd Century, Earth has been utterly choked, but a rip in time has appeared providing a portal to a different time stream, 85 million years in the past. In short, mankind is going to the time of the dinosaurs to build a perfect new society, and we follow a family who are joining this brave new world. It’s a nice idea, and it’s been assembled with a lot of beauty and no attempt whatsoever to hold back. In the opening double-bill, we had an assassination attempt, two dinosaur attacks and a little Lost-esque sense of mystery (and even a hint that the writers know where they’re going with it). 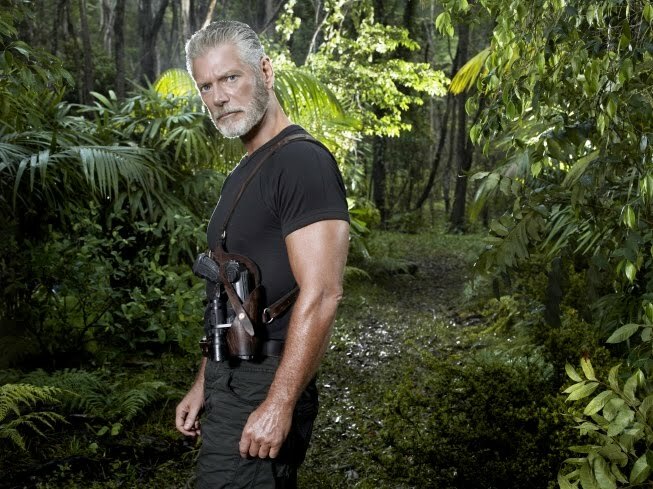 It was great fun, and every five minutes we had Stephen Lang doing his grizzled, untrustworthy action man shtick, which made things even better. There were also many nice touches in the 2149 section. An authoritarian system which limits family numbers to no more than four was depicted with ruthless efficiency, and I could have sworn that we saw Barack Obama’s face on the money. In fact, the opening was so effectively done that I am a little disappointed that we won’t be heading back there (the time portal is one-way only). Terra Nova itself is James Cameron’s imagination on a TV show’s budget, and whilst it has many a Jurassic perk (Steven Spielberg is an Exec Producer on this), you begin to wonder how far the writers can take this, given that everyone lives in a gated community and the threat of dinosaur mauling for those who dash outside will become very repetitive. Thankfully, there are the curious breakaways, the “Sixers”, who stand in opposition to Terra Nova and who will become the dramatic driving force of the plot, and probably a bit if the action. On a week-to-week basis, we shall deal with the family. We’ve already had two bouts of teenage yearning, and a nice moment where some teens sneak off into the jungle in order to brew some moonshine “Cretaceous style”. The youngsters so far have been uniformly good, whilst the parents were a bit mixed. Shelley Conn was excellent as the medical mother, but Jason O’Mara, as the father, did seem to do a lot of angsty staring before running and shouting in action mode. Subtle this is not and the clichés come thick and fast, but this was an encouraging start for a series which could provide a lot of unadulterated Monday night fun over the winter months.